Sometimes referred to as a dead beat seconds, the true beat seconds is a precision function wherein the seconds beat incrementally as opposed to sweeping along the dial allowing for more accurate reading. Arnold & Son has taken the idea to new heights by incorporating the true beat seconds on the same axis as the chronograph seconds hand in the Chronograph True Beat (CTB). The result, when the continually running chronograph hand is started, gives the impression that it can catch up to the true beat seconds hand. However, this never happens since the true beat seconds hand jumps away each second. 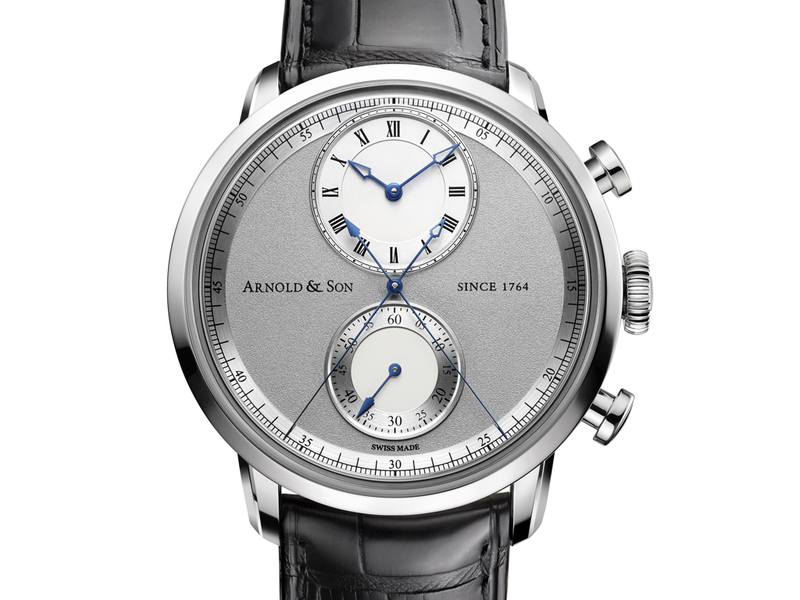 Arnold & Son’s unique CTB invention is protected by two patents. One of six finalists for TimeZone’s 2014 Watch of the Year, the winner is chosen exclusively by the TimeZone community and the finalist with the most community votes by noon EST on Monday, March 2, 2015 shall win the 2014 TimeZone Watch of the Year Award. A&S7103 calibre is a proprietary mechanical self-winding movement with column-wheel operated chronograph, 31 jewels, 28’800 vph and 50-hour power reserve.